CTW CHICK MAGNET, Birmingham, 03/30/2012, Evening, race 4 post #6. Result: 8-6-7- . LAVA MATSUI, Birmingham, 03/30/2012, Evening, race 8 post #5. Result: 5-8-4- . ROOFTOP SAWEDOFF, Birmingham, 03/30/2012, Evening, race 13 post #2. Result: 2-8-1- .JUMP N JIVE, Bluffs Run, 03/30/2012, Afternoon, race 6 post #1. Result: 1-8-7- .DLT EXTRACTOR, Gulf Greyhound, 03/30/2012, Evening, race 8 post #3. Result: 7-3-4- .WW'S GUCCI, Orange Park, 03/30/2012, Evening, race 9 post #5. Result: 6-2-1- .CRS SPIDER WEB, Palm Beach, 03/30/2012, Afternoon, race 6 post #3. Result: 6-1-5- .BELLA DA BULL, Southland, 03/30/2012, Evening, race 16 post #6. Result: 1-6-8- .MULBERRY CORA, Tucson, 03/30/2012, Evening, race 11 post #4. Result: 4-5-3- .FLYING HABANERO, Wheeling, 03/30/2012, Afternoon, race 9 post #8. Result: 2-1-4- . FLYING LAHINCH, Wheeling, 03/30/2012, Afternoon, race 11 post #1. Result: 8-1-3- . KB'S RUCKUS, Wheeling, 03/30/2012, Afternoon, race 11 post #5. Result: 8-1-3- . BLACKJACK BEAVER, Wheeling, 03/30/2012, Evening, race 12 post #4. Result: 8-7-4- . COACH PRINCESS, Birmingham, 03/31/2012, Afternoon, race 10, post #3.GABLE WARBUCKS, Bluffs Run, 03/31/2012, Afternoon, race 13, post #6.JUST TERRIFIC, Palm Beach, 03/31/2012, Afternoon, race 6, post #7. CUSTOM TRENT, Palm Beach, 03/31/2012, Afternoon, race 12, post #8. UHAUL MUFFIN, Palm Beach, 03/31/2012, Afternoon, race 12, post #3. STARZ EQUALMIST, Palm Beach, 03/31/2012, Evening, race 8, post #7.SNEAKY PEEKY, Sarasota, 03/31/2012, Evening, race 9, post #5. COUSIN KIM, Sarasota, 03/31/2012, Evening, race 11, post #7.TROUGELZ, Southland, 03/31/2012, Afternoon, race 6, post #7. BELLA INFRARED, Southland, 03/31/2012, Evening, race 11, post #1. MISTIE BASS, Southland, 03/31/2012, Evening, race 18, post #5.BACKWOOD CODY, Derby Lane, 03/31/2012, Afternoon, race 6, post #7. JW TITLEIST, Derby Lane, 03/31/2012, Evening, race 8, post #3.MAGIC TORPEDO, Tri-State, 03/31/2012, Afternoon, race 12, post #4. MANI STRONG, Tri-State, 03/31/2012, Evening, race 15, post #2.GAME PLANE, Tucson, 03/31/2012, Evening, race 9, post #2. OUT D BOX, Tucson, 03/31/2012, Evening, race 9, post #4.FLYING KILLERBEE, Wheeling, 03/31/2012, Afternoon, race 14, post #5. CTW CHICK MAGNET, Birmingham, 03/30/2012, Evening, race 4, post #6. LAVA MATSUI, Birmingham, 03/30/2012, Evening, race 8, post #5. ROOFTOP SAWEDOFF, Birmingham, 03/30/2012, Evening, race 13, post #2. JUMP N JIVE, Bluffs Run, 03/30/2012, Afternoon, race 6, post #1. DLT EXTRACTOR, Gulf Greyhound, 03/30/2012, Evening, race 8, post #3. WW'S GUCCI, Orange Park, 03/30/2012, Evening, race 9, post #5. CRS SPIDER WEB, Palm Beach, 03/30/2012, Afternoon, race 6, post #3. BELLA DA BULL, Southland, 03/30/2012, Evening, race 16, post #6. MULBERRY CORA, Tucson, 03/30/2012, Evening, race 11, post #4. FLYING HABANERO, Wheeling, 03/30/2012, Afternoon, race 9, post #8. FLYING LAHINCH, Wheeling, 03/30/2012, Afternoon, race 11, post #1. KB'S RUCKUS, Wheeling, 03/30/2012, Afternoon, race 11, post #5. BLACKJACK BEAVER, Wheeling, 03/30/2012, Evening, race 12, post #4. UCME CHICKABOOM, Wheeling, 03/30/2012, Evening, race 12, post #2. KB'S HASLET, Mardi Gras, 03/29/2012, Afternoon, race 6 post #6. Result: 6-8-4- . MAGIC TEMPURA, Orange Park, 03/29/2012, Evening, race 9 post #1. Result: 5-4-8- . KIOWA VANESSA, Orange Park, 03/29/2012, Evening, race 14 post #7. Result: 8-6-3- . GABLE EDDIE, Derby Lane, 03/29/2012, Evening, race 6 post #5. Result: 5-3-8- . BD'S RED DAWN, Derby Lane, 03/29/2012, Evening, race 12 post #6. Result: 2-1-8- . MANIC MAC ELROY, Tri-State, 03/29/2012, Evening, race 9 post #2. Result: 8-5-3- . KB'S HASLET, Mardi Gras, 03/29/2012, Afternoon, race 6, post #6. MAGIC TEMPURA, Orange Park, 03/29/2012, Evening, race 9, post #1. KIOWA VANESSA, Orange Park, 03/29/2012, Evening, race 14, post #7. GABLE EDDIE, Derby Lane, 03/29/2012, Evening, race 6, post #5. BD'S RED DAWN, Derby Lane, 03/29/2012, Evening, race 12, post #6. MANIC MAC ELROY, Tri-State, 03/29/2012, Evening, race 9, post #2. LAVA MATSUI, Birmingham, 03/28/2012, Afternoon, race 8 post #7. Result: 7-1-3- . COACH PRINCESS, Birmingham, 03/28/2012, Evening, race 7 post #7. Result: 1-8-5- . GABLE WARBUCKS, Bluffs Run, 03/28/2012, Afternoon, race 13 post #3. Result: 1- - - . WP'S CLINTON, Orange Park, 03/28/2012, Afternoon, race 11 post #8. Result: 5-4-2- . ORANGE PASS, Orange Park, 03/28/2012, Evening, race 1 post #3. Result: 6-1-2- . BACS XTREME, Palm Beach, 03/28/2012, Afternoon, race 2 post #1. Result: 7-2-3- . JS KERRY OKI, Palm Beach, 03/28/2012, Afternoon, race 6 post #8. Result: 8-2-7- . AMF SULTANA, Palm Beach, 03/28/2012, Afternoon, race 15 post #8. Result: 8-6-3- . COUSIN KIM, Sarasota, 03/28/2012, Afternoon, race 2 post #7. Result: 3-7-8- . GEO DEEDRA, Derby Lane, 03/28/2012, Afternoon, race 11 post #6. Result: 8-3-4- . OUT D BOX, Tucson, 03/28/2012, Evening, race 10 post #8. Result: 2-1-8- . BELLA CUBANARO, Wheeling, 03/28/2012, Afternoon, race 9 post #7. Result: 4-6-2- . LAVA MATSUI, Birmingham, 03/28/2012, Afternoon, race 8, post #7. COACH PRINCESS, Birmingham, 03/28/2012, Evening, race 7, post #7. GABLE WARBUCKS, Bluffs Run, 03/28/2012, Afternoon, race 13, post #3. WP'S CLINTON, Orange Park, 03/28/2012, Afternoon, race 11, post #8. ORANGE PASS, Orange Park, 03/28/2012, Evening, race 1, post #3. BACS XTREME, Palm Beach, 03/28/2012, Afternoon, race 2, post #1. JS KERRY OKI, Palm Beach, 03/28/2012, Afternoon, race 6, post #8. AMF SULTANA, Palm Beach, 03/28/2012, Afternoon, race 15, post #8. COUSIN KIM, Sarasota, 03/28/2012, Afternoon, race 2, post #7. GEO DEEDRA, Derby Lane, 03/28/2012, Afternoon, race 11, post #6. OUT D BOX, Tucson, 03/28/2012, Evening, race 10, post #8. BELLA CUBANARO, Wheeling, 03/28/2012, Afternoon, race 9, post #7. DEMO DAISY, Birmingham, 03/27/2012, Evening, race 11 post #8. Result: 4-7-6- . KCK CANDIBAR, Palm Beach, 03/27/2012, Afternoon, race 4 post #4. Result: 2-7-6- . MONKEYS UNCLE, Palm Beach, 03/27/2012, Afternoon, race 12 post #8. Result: 7-8-1- . UHAUL MUFFIN, Palm Beach, 03/27/2012, Afternoon, race 12 post #7. Result: 7-8-1- . STARZ EQUALMIST, Palm Beach, 03/27/2012, Afternoon, race 15 post #7. Result: 4-2-1- . SNEAKY PEEKY, Sarasota, 03/27/2012, Afternoon, race 3 post #4. Result: 2-7-4- . JW TITLEIST, Derby Lane, 03/27/2012, Evening, race 6 post #5. Result: 8-2-5- . BACKWOOD CODY, Derby Lane, 03/27/2012, Evening, race 10 post #8. Result: 1-2-6- . RED PERSISTENCE, Tucson, 03/27/2012, Evening, race 11 post #8. Result: 2-1-8- . WW GALE THIRTY, Wheeling, 03/27/2012, Afternoon, race 11 post #6. Result: 4-3-2- . Two of Gulf Greyhound Park’s top three kennels, K-Rod Kennel trained by Cindy Unrein and Libby Racing Kennels trained by Cam Hawkins, engaged in quite a battle this week for the Kennel of the Week honors. With the final margin of only $46, K-Rod Kennel did just enough claiming the bragging rights. Led by last week’s Greyhound of the Week Spry Derosa and her third consecutive grade AA victory, K-Rod Kennel had 12 ½ wins, 13 ½ seconds, 8 thirds and 4 fourth place finishes earning $8,901.56 in purse money. This latest effort moves K-Rod Kennel within three wins of D.Q. Williams Kennel on top of the kennel standings. During the month of March, this week’s featured star, Kells Wild Bill of Libby Racing Kennels has turned things up a notch and earned the Greyhound of the Week honors. The 69-pound white ticked black male bred from TK Quick Strike – Gilded Memory* has been a very consistent performer during his young six month career with a record of 34/13-4-3-7. It was a slow but steady climb through the grading ranks taking 15 starts and 2-½ months from maiden to top grade AA. This pup proved he was for real though by making an immediate splash winning his first two races against Gulf Greyhound Park’s elite competition on December 4 and 10. DEMO DAISY, Birmingham, 03/27/2012, Evening, race 11, post #8. KCK CANDIBAR, Palm Beach, 03/27/2012, Afternoon, race 4, post #4. MONKEYS UNCLE, Palm Beach, 03/27/2012, Afternoon, race 12, post #8. UHAUL MUFFIN, Palm Beach, 03/27/2012, Afternoon, race 12, post #7. STARZ EQUALMIST, Palm Beach, 03/27/2012, Afternoon, race 15, post #7. SNEAKY PEEKY, Sarasota, 03/27/2012, Afternoon, race 3, post #4. JW TITLEIST, Derby Lane, 03/27/2012, Evening, race 6, post #5. BACKWOOD CODY, Derby Lane, 03/27/2012, Evening, race 10, post #8. RED PERSISTENCE, Tucson, 03/27/2012, Evening, race 11, post #8. WW GALE THIRTY, Wheeling, 03/27/2012, Afternoon, race 11, post #6. COACH PRINCESS, Birmingham, 03/26/2012, Afternoon, race 10 post #7. Result: 5-7-6- . ROOFTOP SAWEDOFF, Birmingham, 03/26/2012, Afternoon, race 10 post #3. Result: 5-7-6- . WW'S GUCCI, Orange Park, 03/26/2012, Evening, race 10 post #2. Result: 6-3-8- . BELLA INFRARED, Southland, 03/26/2012, T, race 20 post #7. MAGIC TORPEDO, Tri-State, 03/26/2012, Evening, race 9 post #5. Result: 6-3-5- . MULBERRY CORA, Tucson, 03/26/2012, Evening, race 6 post #7. Result: 1-4-7- . BOC'S IGGIE, Tucson, 03/26/2012, Evening, race 7 post #2. Result: 2-8-5- . GAME PLANE, Tucson, 03/26/2012, Evening, race 12 post #1. Result: 3-2-7- . COACH PRINCESS, Birmingham, 03/26/2012, Afternoon, race 10, post #7. ROOFTOP SAWEDOFF, Birmingham, 03/26/2012, Afternoon, race 10, post #3. WW'S GUCCI, Orange Park, 03/26/2012, Evening, race 10, post #2. BELLA INFRARED, Southland, 03/26/2012, T, race 20, post #7. MAGIC TORPEDO, Tri-State, 03/26/2012, Evening, race 9, post #5. MULBERRY CORA, Tucson, 03/26/2012, Evening, race 6, post #7. BOC'S IGGIE, Tucson, 03/26/2012, Evening, race 7, post #2. GAME PLANE, Tucson, 03/26/2012, Evening, race 12, post #1. MC FULL MOON, Bluffs Run, 03/25/2012, Afternoon, race 5 post #3. Result: 1-8-5- . CUSTOM TRENT, Palm Beach, 03/25/2012, Afternoon, race 10 post #7. Result: 7-1-5- . MANI STRONG, Tri-State, 03/25/2012, Evening, race 12 post #5. Result: 7-5-3- . AMF EX PRESIDENT, Wheeling, 03/25/2012, Afternoon, race 9 post #1. Result: 1-3-4- . DEMO DAISY, Birmingham, 03/24/2012, Afternoon, race 4 post #6. Result: 7-2-1- . COACH PRINCESS, Birmingham, 03/24/2012, Afternoon, race 9 post #2. Result: 8-5-7- . ROOFTOP SAWEDOFF, Birmingham, 03/24/2012, Afternoon, race 11 post #5. Result: 2-5-4- . LAVA MATSUI, Birmingham, 03/24/2012, Evening, race 6 post #7. Result: 1-8-4- .SLATEX TOPAZ, Bluffs Run, 03/24/2012, Afternoon, race 7 post #3. Result: 5-8-3- . GABLE WARBUCKS, Bluffs Run, 03/24/2012, Afternoon, race 15 post #1. Result: 1-4-7- . JET FORCE, Bluffs Run, 03/24/2012, Afternoon, race 15 post #5. 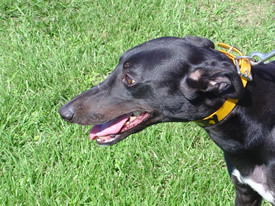 Result: 1-4-7- .DLT EXTRACTOR, Gulf Greyhound, 03/24/2012, Evening, race 12 post #1. Result: 5-3-2- .ORANGE PASS, Orange Park, 03/24/2012, Afternoon, race 2 post #4. Result: 1-3-5- . KIOWA VANESSA, Orange Park, 03/24/2012, Evening, race 5 post #1. Result: 8-1-7- . MC FULL MOON, Bluffs Run, 03/25/2012, Afternoon, race 5, post #3.CUSTOM TRENT, Palm Beach, 03/25/2012, Afternoon, race 10, post #7.MANI STRONG, Tri-State, 03/25/2012, Evening, race 12, post #5.AMF EX PRESIDENT, Wheeling, 03/25/2012, Afternoon, race 9, post #1. WW'S GUCCI, Orange Park, 03/23/2012, Evening, race 14 post #5. Result: 2-3-1- .BACS XTREME, Palm Beach, 03/23/2012, Afternoon, race 8 post #5. Result: 5-6-2- . CRS SPIDER WEB, Palm Beach, 03/23/2012, Afternoon, race 12 post #6. Result: 8-6-7- . JS KERRY OKI, Palm Beach, 03/23/2012, Afternoon, race 15 post #3. Result: 1-2-8- . UHAUL MUFFIN, Palm Beach, 03/23/2012, Afternoon, race 15 post #7. Result: 1-2-8- .SNEAKY PEEKY, Sarasota, 03/23/2012, Afternoon, race 5 post #2. Result: 6-2-4- . COUSIN KIM, Sarasota, 03/23/2012, Evening, race 1 post #1. Result: 4-6-1- .RAMS CASH CARSON, Tucson, 03/23/2012, Evening, race 3 post #3. Result: 4-3-6- .BLACKJACK BEAVER, Wheeling, 03/23/2012, Afternoon, race 11 post #4. Result: 8-3-4- . DEMO DAISY, Birmingham, 03/24/2012, Afternoon, race 4, post #6. COACH PRINCESS, Birmingham, 03/24/2012, Afternoon, race 9, post #2. ROOFTOP SAWEDOFF, Birmingham, 03/24/2012, Afternoon, race 11, post #5. LAVA MATSUI, Birmingham, 03/24/2012, Evening, race 6, post #7.SLATEX TOPAZ, Bluffs Run, 03/24/2012, Afternoon, race 7, post #3. GABLE WARBUCKS, Bluffs Run, 03/24/2012, Afternoon, race 15, post #1. JET FORCE, Bluffs Run, 03/24/2012, Afternoon, race 15, post #5.DLT EXTRACTOR, Gulf Greyhound, 03/24/2012, Evening, race 12, post #1.ORANGE PASS, Orange Park, 03/24/2012, Afternoon, race 2, post #4. WW'S GUCCI, Orange Park, 03/23/2012, Evening, race 14, post #5. BACS XTREME, Palm Beach, 03/23/2012, Afternoon, race 8, post #5. CRS SPIDER WEB, Palm Beach, 03/23/2012, Afternoon, race 12, post #6. JS KERRY OKI, Palm Beach, 03/23/2012, Afternoon, race 15, post #3. UHAUL MUFFIN, Palm Beach, 03/23/2012, Afternoon, race 15, post #7. SNEAKY PEEKY, Sarasota, 03/23/2012, Afternoon, race 5, post #2. COUSIN KIM, Sarasota, 03/23/2012, Evening, race 1, post #1. RAMS CASH CARSON, Tucson, 03/23/2012, Evening, race 3, post #3. BLACKJACK BEAVER, Wheeling, 03/23/2012, Afternoon, race 11, post #4. FLYING LAHINCH, Wheeling, 03/23/2012, Afternoon, race 11, post #5. FLYING HABANERO, Wheeling, 03/23/2012, Evening, race 9, post #6. BELLA CUBANARO, Wheeling, 03/23/2012, Evening, race 11, post #7. KB'S RUCKUS, Wheeling, 03/23/2012, Evening, race 12, post #7. UCME CHICKABOOM, Wheeling, 03/23/2012, Evening, race 12, post #5. SLATEX EMERALD, Bluffs Run, 03/22/2012, Afternoon, race 2 post #1. Result: 3-2-5- . JUMP N JIVE, Bluffs Run, 03/22/2012, Afternoon, race 3 post #2. Result: 2-5-1- . KB'S HASLET, Mardi Gras, 03/22/2012, Evening, race 2 post #6. Result: 3-4-5- . MONKEYS UNCLE, Palm Beach, 03/22/2012, Afternoon, race 6 post #8. Result: 8-1-3- . BACKWOOD CODY, Derby Lane, 03/22/2012, Evening, race 10 post #8. Result: 6-1-7- . JW TITLEIST, Derby Lane, 03/22/2012, Evening, race 10 post #6. Result: 6-1-7- . MANIC MAC ELROY, Tri-State, 03/22/2012, Evening, race 13 post #2. Result: 1-5-4- . RED PERSISTENCE, Tucson, 03/22/2012, Evening, race 9 post #2. Result: 4-7-6- . BOC'S IGGIE, Tucson, 03/22/2012, Evening, race 13 post #4. Result: 5-4-1- . SLATEX EMERALD, Bluffs Run, 03/22/2012, Afternoon, race 2, post #1. JUMP N JIVE, Bluffs Run, 03/22/2012, Afternoon, race 3, post #2. KB'S HASLET, Mardi Gras, 03/22/2012, Evening, race 2, post #6. MONKEYS UNCLE, Palm Beach, 03/22/2012, Afternoon, race 6, post #8. BACKWOOD CODY, Derby Lane, 03/22/2012, Evening, race 10, post #8. JW TITLEIST, Derby Lane, 03/22/2012, Evening, race 10, post #6. MANIC MAC ELROY, Tri-State, 03/22/2012, Evening, race 13, post #2. RED PERSISTENCE, Tucson, 03/22/2012, Evening, race 9, post #2. BOC'S IGGIE, Tucson, 03/22/2012, Evening, race 13, post #4. COACH PRINCESS, Birmingham, 03/21/2012, Afternoon, race 9 post #4. Result: 5-4-8- . LAVA MATSUI, Birmingham, 03/21/2012, Evening, race 7 post #1. Result: 1-2-4- . ROOFTOP SAWEDOFF, Birmingham, 03/21/2012, Evening, race 7 post #3. Result: 1-2-4- . GABLE WARBUCKS, Bluffs Run, 03/21/2012, Afternoon, race 11 post #4. Result: 3-8-4- . JET FORCE, Bluffs Run, 03/21/2012, Afternoon, race 11 post #6. Result: 3-8-4- . KIOWA VANESSA, Orange Park, 03/21/2012, Afternoon, race 7 post #8. Result: 3-8-1- . MAGIC TEMPURA, Orange Park, 03/21/2012, Evening, race 14 post #8. Result: 5-1-3- . AMF SULTANA, Palm Beach, 03/21/2012, Afternoon, race 15 post #7. Result: 7-2-6- . TEN FOR TEE, Sarasota, 03/21/2012, Afternoon, race 1 post #7. Result: 8-1-3- . BD'S RED DAWN, Derby Lane, 03/21/2012, Evening, race 6 post #3. Result: 4-2-8- . GEO DEEDRA, Derby Lane, 03/21/2012, Evening, race 7 post #1. Result: 7-2-6- . MAGIC TORPEDO, Tri-State, 03/21/2012, Evening, race 15 post #4. Result: 2-4-1- . MANI STRONG, Tri-State, 03/21/2012, Evening, race 15 post #1. Result: 2-4-1- . GAME PLANE, Tucson, 03/21/2012, Evening, race 4 post #1. Result: 1-7-5- . MULBERRY CORA, Tucson, 03/21/2012, Evening, race 6 post #2. Result: 5-8-2- . OUT D BOX, Tucson, 03/21/2012, Evening, race 10 post #5. Result: 5-6-1- . Well almost - the contest will actually be ALL THE LADY HANDICAPPERS WE CAN FIND taking on one of Big JackPot Betting's regular guest handicappers and comnmentator the Prince of Picks - Maryland Bobby! So grab your wives, mothers, grandmothers, daughters etc. - have them log on and sign up! Don't let them miss out on all the fun! It is FREE to enter. COACH PRINCESS, Birmingham, 03/21/2012, Afternoon, race 9, post #4. LAVA MATSUI, Birmingham, 03/21/2012, Evening, race 7, post #1. ROOFTOP SAWEDOFF, Birmingham, 03/21/2012, Evening, race 7, post #3. GABLE WARBUCKS, Bluffs Run, 03/21/2012, Afternoon, race 11, post #4. JET FORCE, Bluffs Run, 03/21/2012, Afternoon, race 11, post #6. KIOWA VANESSA, Orange Park, 03/21/2012, Afternoon, race 7, post #8. MAGIC TEMPURA, Orange Park, 03/21/2012, Evening, race 14, post #8. AMF SULTANA, Palm Beach, 03/21/2012, Afternoon, race 15, post #7. TEN FOR TEE, Sarasota, 03/21/2012, Afternoon, race 1, post #7. BD'S RED DAWN, Derby Lane, 03/21/2012, Evening, race 6, post #3. GEO DEEDRA, Derby Lane, 03/21/2012, Evening, race 7, post #1. MAGIC TORPEDO, Tri-State, 03/21/2012, Evening, race 15, post #4. MANI STRONG, Tri-State, 03/21/2012, Evening, race 15, post #1. GAME PLANE, Tucson, 03/21/2012, Evening, race 4, post #1. MULBERRY CORA, Tucson, 03/21/2012, Evening, race 6, post #2. OUT D BOX, Tucson, 03/21/2012, Evening, race 10, post #5. SLATEX TOPAZ, Bluffs Run, 03/20/2012, Afternoon, race 4 post #1. Result: 8-7-3- . MC FULL MOON, Bluffs Run, 03/20/2012, Afternoon, race 14 post #5. Result: 8-5-6- . KCK CANDIBAR, Palm Beach, 03/20/2012, Afternoon, race 4 post #3. Result: 7-4-6- . STARZ EQUALMIST, Palm Beach, 03/20/2012, Afternoon, race 6 post #1. Result: 1-4-3- . MESA BACKSTOP, Derby Lane, 03/20/2012, Evening, race 6 post #7. Result: 8-4-1- . WW GALE THIRTY, Wheeling, 03/20/2012, Afternoon, race 3 post #7. Result: 6-2-3- . SLATEX TOPAZ, Bluffs Run, 03/20/2012, Afternoon, race 4, post #1. MC FULL MOON, Bluffs Run, 03/20/2012, Afternoon, race 14, post #5. KCK CANDIBAR, Palm Beach, 03/20/2012, Afternoon, race 4, post #3. STARZ EQUALMIST, Palm Beach, 03/20/2012, Afternoon, race 6, post #1. MESA BACKSTOP, Derby Lane, 03/20/2012, Evening, race 6, post #7. WW GALE THIRTY, Wheeling, 03/20/2012, Afternoon, race 3, post #7. DEMO DAISY, Birmingham, 03/19/2012, Afternoon, race 5 post #2. Result: 7-2-5- . COACH PRINCESS, Birmingham, 03/19/2012, Afternoon, race 13 post #6. Result: 5-3-7- . LAVA MATSUI, Birmingham, 03/19/2012, Afternoon, race 13 post #5. Result: 5-3-7- . ROOFTOP SAWEDOFF, Birmingham, 03/19/2012, Afternoon, race 13 post #3. Result: 5-3-7- . ORANGE PASS, Orange Park, 03/19/2012, Evening, race 8 post #7. Result: 4-3-2- . WW'S GUCCI, Orange Park, 03/19/2012, Evening, race 11 post #3. Result: 5-8-7- . CUSTOM TRENT, Palm Beach, 03/19/2012, Afternoon, race 12 post #1. Result: 2-4-1- . BELLA INFRARED, Southland, 03/19/2012, T, race 7 post #1. GABLE EDDIE, Derby Lane, 03/19/2012, Evening, race 4 post #8. Result: 8-5-4- . BACKWOOD CODY, Derby Lane, 03/19/2012, Evening, race 6 post #7. Result: 8-7-3- . KIOWA ROLL RAY, Tri-State, 03/19/2012, Evening, race 10 post #3. Result: 8-1-7- . RAMS CASH CARSON, Tucson, 03/19/2012, Evening, race 7 post #6. Result: 3-6-4- . LONGSHOT NO INFLATION WINS PALM BEACH KENNEL CLUB $50,000 ST. PATRICK'S INVITATIONAL! LUCK OF THE IRISH SHINES ON MARSELLA RACING KENNEL! 17-1 LONG-SHOT NO INFLATION WINS PALM BEACH KENNEL CLUB’S $50,000 ARTHUR J. ROONEY ST. PATRICK’S INVITATIONAL! West Palm Beach, Fl. - Irish Eyes Were Smiling on Marsella Racing Kennel as No Inflation handily defeated a top-notch field of Greyhounds in the 36th running of Palm Beach Kennel Club’s $50,000 Arthur J. Rooney, Sr. St. Patrick’s Invitational Saturday afternoon, March 17. Breaking from the seven post position, No Inflation took advantage of an early jam with the fan-favored inside entries at the start of the race, had a trouble-free run to the first turn, took a commanding lead on the backstretch and never looked backed, winning by more than four lengths in a very swift 545-yard Royal Palm Course timing of 29.55 seconds. Going off at odds of 17-1, supporters of No Inflation felt like they had found their own “Pot ‘O Gold” as they happily cashed in their two dollar win tickets in exchange for a payoff of $36.60. M Cee Drive, Riverview Stevie and Hilco Burner finished second, third and fourth, respectively. Co-Kennel operator Heather Marsella was watching the race at track side and was visibly exhibiting a combination of euphoria and the realization of what had just happened. “Lucas” collected a lot of the “Green” for himself and his connections, a cool $25,000 for a 29-and-a-half-second jaunt around the Palm Beach oval. Make it two weeks in a row for Gulf Greyhound Park’s top kennel in 2012, D.Q. Williams Kennel, to earn the Kennel of the Week honors. Once again, it was a numbers game as D.Q. Williams Kennel, trained by Craig Edwards, had the most starts for the week. Led by grade AA winners Cecil Deville, Golddust Hades and Nosy Pop, the troops tallied 8 wins, 15 seconds, 12 thirds and 6 fourth place finishes out of 71 starts to earn $10,292.04 in purse money. D.Q. Williams Kennel sits on top of the kennel standings leading by six wins over K-Rod Kennel and nine wins over Libby Racing Kennels. This week’s featured star, Spry Derosa of K-Rod Kennel, returns to the spotlight after earning the Greyhound of the Week honors just a mere three weeks ago. The 59-pound red female bred from Dodgem by Design – Dancer Drive has established herself as one of the top sprinters on the Texas Gulf Coast winning six out of her last nine top grade AA contests for trainer Cindy Unrein and owner Charter Kennel, Inc.
On Wednesday afternoon March 14, Spry Derosa got a second opportunity with Kells Wild Bill of Libby Racing Kennels after the two top grade superstars finished within a nose of each other and Spry Derosa on the losing end. Just as their prior meeting, the two combatants would start next to each other with Spry Derosa in post #7 and Kells Wild Bill in the #8 post. Spry Derosa broke well sporting the lucky `candy-stripes` racing in the second position around the first turn behind leader Gable Raven of Bone Man Racing Kennel. With a strong move around the far turn, Spry Derosa cleared just in front of Gable Raven obtaining her favored rail running spot and pulled away to a two-length victory in a time of 29.98 seconds as the 3/2 race favorite. DLT EXTRACTOR, Gulf Greyhound, 03/18/2012, Afternoon, race 9 post #6. Result: 5-6-2- . UHAUL MUFFIN, Palm Beach, 03/18/2012, Afternoon, race 14 post #2. Result: 4-2-5- . AMF EX PRESIDENT, Wheeling, 03/18/2012, Afternoon, race 3 post #8. Result: 7-4-1- . DEMO DAISY, Birmingham, 03/19/2012, Afternoon, race 5, post #2. COACH PRINCESS, Birmingham, 03/19/2012, Afternoon, race 13, post #6. LAVA MATSUI, Birmingham, 03/19/2012, Afternoon, race 13, post #5. ROOFTOP SAWEDOFF, Birmingham, 03/19/2012, Afternoon, race 13, post #3. ORANGE PASS, Orange Park, 03/19/2012, Evening, race 8, post #7. WW'S GUCCI, Orange Park, 03/19/2012, Evening, race 11, post #3. CUSTOM TRENT, Palm Beach, 03/19/2012, Afternoon, race 12, post #1. BELLA INFRARED, Southland, 03/19/2012, T, race 7, post #1. GABLE EDDIE, Derby Lane, 03/19/2012, Evening, race 4, post #8. BACKWOOD CODY, Derby Lane, 03/19/2012, Evening, race 6, post #7. KIOWA ROLL RAY, Tri-State, 03/19/2012, Evening, race 10, post #3. RAMS CASH CARSON, Tucson, 03/19/2012, Evening, race 7, post #6. ROOFTOP SAWEDOFF, Birmingham, 03/17/2012, Afternoon, race 6 post #7. Result: 5-7-3- . DODGE CALIBER, Birmingham, 03/17/2012, Evening, race 8 post #4. Result: 8-2-3- . GABLE WARBUCKS, Bluffs Run, 03/17/2012, Afternoon, race 10 post #6. Result: 6-3-4- . JET FORCE, Bluffs Run, 03/17/2012, Afternoon, race 10 post #5. Result: 6-3-4- . WP'S CLINTON, Orange Park, 03/17/2012, Afternoon, race 11 post #6. Result: 8-6-7- . JS KERRY OKI, Palm Beach, 03/17/2012, Afternoon, race 12 post #3. Result: 7-6-4- . RK'S CONK GONK, Palm Beach, 03/17/2012, Afternoon, race 12 post #1. Result: 7-6-4- . BACS XTREME, Palm Beach, 03/17/2012, Afternoon, race 13 post #6. Result: 5-7-1- . JUST TERRIFIC, Palm Beach, 03/17/2012, Afternoon, race 14 post #3. Result: 5-7-6- . COACH PRINCESS, Birmingham, 03/16/2012, Evening, race 9 post #1. Result: - - - . LAVA MATSUI, Birmingham, 03/16/2012, Evening, race 9 post #7. Result: - - - . DEMO DAISY, Birmingham, 03/16/2012, Evening, race 14 post #8. Result: 3-1-2- .KB'S HASLET, Mardi Gras, 03/16/2012, Afternoon, race 6 post #5. Result: 3-8-6- .KIOWA VANESSA, Orange Park, 03/16/2012, Evening, race 5 post #3. Result: 2-3-6- . MAGIC TEMPURA, Orange Park, 03/16/2012, Evening, race 9 post #6. Result: 8-2-7- . WW'S GUCCI, Orange Park, 03/16/2012, Evening, race 9 post #8. Result: 8-2-7- .KCK CANDIBAR, Palm Beach, 03/16/2012, Afternoon, race 4 post #5. Result: 8-1-4- . AMF SULTANA, Palm Beach, 03/16/2012, Afternoon, race 14 post #2. Result: 5-6-2- . STARZ EQUALMIST, Palm Beach, 03/16/2012, Evening, race 8 post #6. Result: 7-4-3- . MONKEYS UNCLE, Palm Beach, 03/16/2012, Evening, race 10 post #2. Result: 4-2-1- . ROOFTOP SAWEDOFF, Birmingham, 03/17/2012, Afternoon, race 6, post #7. DODGE CALIBER, Birmingham, 03/17/2012, Evening, race 8, post #4.GABLE WARBUCKS, Bluffs Run, 03/17/2012, Afternoon, race 10, post #6. JET FORCE, Bluffs Run, 03/17/2012, Afternoon, race 10, post #5.WP'S CLINTON, Orange Park, 03/17/2012, Afternoon, race 11, post #6.JS KERRY OKI, Palm Beach, 03/17/2012, Afternoon, race 12, post #3. RK'S CONK GONK, Palm Beach, 03/17/2012, Afternoon, race 12, post #1. BACS XTREME, Palm Beach, 03/17/2012, Afternoon, race 13, post #6. JUST TERRIFIC, Palm Beach, 03/17/2012, Afternoon, race 14, post #3.COUSIN KIM, Sarasota, 03/17/2012, Afternoon, race 13, post #3. SNEAKY PEEKY, Sarasota, 03/17/2012, Evening, race 9, post #8.BELLA DA BULL, Southland, 03/17/2012, Evening, race 6, post #3. For some time now, those of us who embrace the sport of Greyhound racing have had a little bit of an issue over the use of one word. We can get along with quite a variety of adoption types, from the full out “we love racing” people, to the ones who hang back a little and declare themselves “neutral” on the subject. Personally, I don’t quite get “neutrality” on racing, but if it keeps the peace and lands our babies in loving homes, ok. Be neutral. We even work cheerfully … wait, let me change that… we even work harmoniously with groups that are “conscientious objectors”. Their members have seen some bad stuff, and they get to object. They do so softly, for the most part, and we are enormously grateful for them. Because, as much as we know in our hearts and souls, that we ourselves would never be so vile as to endanger or mistreat any dog in our care, we also know that it isn’t all bubbles and lace, and there are people who would. PALM BEACH KENNEL CLUB PRESENTS THE $50,000 ST. PATRICK'S INVITATIONAL SATURDAY AFTERNOON, MARCH 17! MAY IRISH EYES BE SMILING ON THEM ALL! $50,000 ARTHUR J. ROONEY, SR. ST. PATRICK’S INVITATIONAL SATURDAY AFTERNOON, MARCH 17! West Palm Beach, Fl. - Post positions have been drawn and it’s time for the Greyhounds to do all the talking, as Palm Beach Kennel Club’s prepares for its biggest, most fun and exciting afternoon of the year, the running of the $50,000 Arthur J. Rooney, Sr. St. Patrick’s Invitational Saturday afternoon, March 17. This year’s field consists of outstanding early speedsters in the sleek forms of WW All Starodell, Riverview Stevie and No Inflation. In the category of super-fantastic first-turn rushers, they come no better than the probable race favorite and multi-stake champion RK’s Conk Gonk and the winner of last month’s $50,000 3/8ths Mile Derby JS Kerry Oki. DLT EXTRACTOR, Gulf Greyhound, 03/15/2012, Evening, race 12 post #5. Result: 3-2-7- . ORANGE PASS, Orange Park, 03/15/2012, Evening, race 4 post #6. Result: 7-1-6- . TEN FOR TEE, Sarasota, 03/15/2012, Afternoon, race 14 post #7. Result: 3-4-5- . BACKWOOD CODY, Derby Lane, 03/15/2012, Evening, race 12 post #4. Result: 4-1-2- . RAMS CASH CARSON, Tucson, 03/15/2012, Evening, race 11 post #4. Result: 3-4-8- . COACH PRINCESS, Birmingham, 03/16/2012, Evening, race 9, post #1. LAVA MATSUI, Birmingham, 03/16/2012, Evening, race 9, post #7. DEMO DAISY, Birmingham, 03/16/2012, Evening, race 14, post #8. KB'S HASLET, Mardi Gras, 03/16/2012, Afternoon, race 6, post #5. KIOWA VANESSA, Orange Park, 03/16/2012, Evening, race 5, post #3. MAGIC TEMPURA, Orange Park, 03/16/2012, Evening, race 9, post #6. WW'S GUCCI, Orange Park, 03/16/2012, Evening, race 9, post #8. KCK CANDIBAR, Palm Beach, 03/16/2012, Afternoon, race 4, post #5. AMF SULTANA, Palm Beach, 03/16/2012, Afternoon, race 14, post #2. STARZ EQUALMIST, Palm Beach, 03/16/2012, Evening, race 8, post #6. MONKEYS UNCLE, Palm Beach, 03/16/2012, Evening, race 10, post #2. CRS SPIDER WEB, Palm Beach, 03/16/2012, Evening, race 12, post #8. BD'S RED DAWN, Derby Lane, 03/16/2012, Evening, race 10, post #7. MESA BACKSTOP, Derby Lane, 03/16/2012, Evening, race 10, post #6. MAGIC TORPEDO, Tri-State, 03/16/2012, Evening, race 11, post #7. MANI STRONG, Tri-State, 03/16/2012, Evening, race 12, post #2. Nearly a year ago, the Hagmaier family walked into a Pittsburgh area adoption kennel for retired greyhounds. The Hagmaiers -- Jeff, Shelley and son Mike -- saw several greyhounds during their visit but none of them caught their eye like Iruska Opal. DLT EXTRACTOR, Gulf Greyhound, 03/15/2012, Evening, race 12, post #5. ORANGE PASS, Orange Park, 03/15/2012, Evening, race 4, post #6. TEN FOR TEE, Sarasota, 03/15/2012, Afternoon, race 14, post #7. BACKWOOD CODY, Derby Lane, 03/15/2012, Evening, race 12, post #4. RAMS CASH CARSON, Tucson, 03/15/2012, Evening, race 11, post #4. ROOFTOP SAWEDOFF, Birmingham, 03/14/2012, Afternoon, race 9 post #7. Result: 8-7-5- . DODGE CALIBER, Birmingham, 03/14/2012, Afternoon, race 11 post #3. Result: 5-6-8- . GABLE WARBUCKS, Bluffs Run, 03/14/2012, Afternoon, race 5 post #1. Result: 4-1-6- . SLATEX EMERALD, Bluffs Run, 03/14/2012, Afternoon, race 10 post #2. Result: 8-6-7- . JET FORCE, Bluffs Run, 03/14/2012, Afternoon, race 13 post #7. Result: 1-2-4- . MC FULL MOON, Bluffs Run, 03/14/2012, Afternoon, race 13 post #5. Result: 1-2-4- . CUSTOM TRENT, Palm Beach, 03/14/2012, Afternoon, race 6 post #3. Result: 4-7-8- . UHAUL MUFFIN, Palm Beach, 03/14/2012, Afternoon, race 6 post #5. Result: 4-7-8- . SNEAKY PEEKY, Sarasota, 03/14/2012, Afternoon, race 9 post #4. Result: 2-4-6- . COUSIN KIM, Sarasota, 03/14/2012, Afternoon, race 11 post #6. Result: 5-1-2- . BELLA INFRARED, Southland, 03/14/2012, Afternoon, race 9 post #5. Result: 5- - - . SHANETT, Southland, 03/14/2012, Afternoon, race 13 post #1. Result: 5- - - . JW TITLEIST, Derby Lane, 03/14/2012, Evening, race 11 post #6. Result: 7-2-3- . MANIC MAC ELROY, Tri-State, 03/14/2012, Evening, race 2 post #3. Result: 5-8-2- . KIOWA ROLL RAY, Tri-State, 03/14/2012, Evening, race 10 post #2. Result: 5-7-8- . BOC'S IGGIE, Tucson, 03/14/2012, Evening, race 4 post #5. Result: 5-4-7- . GAME PLANE, Tucson, 03/14/2012, Evening, race 9 post #5. Result: 2-3-1- . OUT D BOX, Tucson, 03/14/2012, Evening, race 11 post #1. Result: 5-1-2- . ROOFTOP SAWEDOFF, Birmingham, 03/14/2012, Afternoon, race 9, post #7. DODGE CALIBER, Birmingham, 03/14/2012, Afternoon, race 11, post #3. GABLE WARBUCKS, Bluffs Run, 03/14/2012, Afternoon, race 5, post #1. SLATEX EMERALD, Bluffs Run, 03/14/2012, Afternoon, race 10, post #2. JET FORCE, Bluffs Run, 03/14/2012, Afternoon, race 13, post #7. MC FULL MOON, Bluffs Run, 03/14/2012, Afternoon, race 13, post #5. CUSTOM TRENT, Palm Beach, 03/14/2012, Afternoon, race 6, post #3. UHAUL MUFFIN, Palm Beach, 03/14/2012, Afternoon, race 6, post #5. SNEAKY PEEKY, Sarasota, 03/14/2012, Afternoon, race 9, post #4. COUSIN KIM, Sarasota, 03/14/2012, Afternoon, race 11, post #6. BELLA INFRARED, Southland, 03/14/2012, Afternoon, race 9, post #5. SHANETT, Southland, 03/14/2012, Afternoon, race 13, post #1. JW TITLEIST, Derby Lane, 03/14/2012, Evening, race 11, post #6. MANIC MAC ELROY, Tri-State, 03/14/2012, Evening, race 2, post #3. KIOWA ROLL RAY, Tri-State, 03/14/2012, Evening, race 10, post #2. BOC'S IGGIE, Tucson, 03/14/2012, Evening, race 4, post #5. GAME PLANE, Tucson, 03/14/2012, Evening, race 9, post #5. OUT D BOX, Tucson, 03/14/2012, Evening, race 11, post #1. COACH PRINCESS, Birmingham, 03/13/2012, Evening, race 5 post #6. Result: 6-3-8- . LAVA MATSUI, Birmingham, 03/13/2012, Evening, race 10 post #5. Result: 5-6-8- . GEO DEEDRA, Derby Lane, 03/13/2012, Evening, race 1 post #1. Result: 5-3-2- . GABLE EDDIE, Derby Lane, 03/13/2012, Evening, race 6 post #5. Result: 8-2-1- . RED PERSISTENCE, Tucson, 03/13/2012, Evening, race 9 post #8. Result: 3-5-8- . WW GALE THIRTY, Wheeling, 03/13/2012, Afternoon, race 12 post #7. Result: 5-1-2- . COACH PRINCESS, Birmingham, 03/13/2012, Evening, race 5, post #6. LAVA MATSUI, Birmingham, 03/13/2012, Evening, race 10, post #5. GEO DEEDRA, Derby Lane, 03/13/2012, Evening, race 1, post #1. GABLE EDDIE, Derby Lane, 03/13/2012, Evening, race 6, post #5. RED PERSISTENCE, Tucson, 03/13/2012, Evening, race 9, post #8. WW GALE THIRTY, Wheeling, 03/13/2012, Afternoon, race 12, post #7. MAGIC TEMPURA, Orange Park, 03/12/2012, Evening, race 9 post #5. Result: 6-2-3- . WP'S CLINTON, Orange Park, 03/12/2012, Evening, race 10 post #8. Result: 8-7-5- . WW'S GUCCI, Orange Park, 03/12/2012, Evening, race 11 post #2. Result: 4-6-1- . BACS XTREME, Palm Beach, 03/12/2012, Afternoon, race 7 post #7. Result: 3-8-1- . JUST TERRIFIC, Palm Beach, 03/12/2012, Afternoon, race 12 post #8. Result: 8-2-4- . TROUGELZ, Southland, 03/12/2012, T, race 11 post #5. BACKWOOD CODY, Derby Lane, 03/12/2012, Evening, race 8 post #8. Result: 7-4-1- . BD'S RED DAWN, Derby Lane, 03/12/2012, Evening, race 8 post #7. Result: 7-4-1- . MESA BACKSTOP, Derby Lane, 03/12/2012, Evening, race 10 post #6. Result: 8-2-5- . MULBERRY CORA, Tucson, 03/12/2012, Evening, race 11 post #3. Result: 5-1-4- . D.Q. Williams Kennel and trainer Craig Edwards re-claimed the Kennel of the Week honors this week and extended their lead on top of the kennel standings to seven over K-Rod Kennel. It was truly a numbers game this week using 74 starts to accumulate 14 wins, 8 seconds, 8 thirds and 9 fourth place finishes earning $9,312.72 in purse money. It was a combined effort from the troops throughout the different grades and all of this was done without the benefit of a grade AA victory. We can add a new name to the Greyhound of the Week list, DLT Annika of Lingle Kennel. With a recent run of success against Gulf Greyhound Park’s top grade elite competition, the 61-pound `late bloomer` bred from Rhythmless and DLT Follow Me is quickly moving up the 2012 win list and considered one of the top 550-yard sprinters on the Texas Gulf Coast. The early speed, front running style of DLT Annika suits the La Marque, Texas racing oval perfectly. During the summer of 2011, DLT Annika schooled in very well winning three out of her four qualifying races and graduated from the maiden class in her second start on July 6. From that point, the journey was a bumpy one not tasting victory until a grade J win on August 20. The rest of 2011 for DLT Annika was spent in grades C and B but with the start of a new year, came with newfound success. The first start of 2012 on January 4 was a grade B victory and five starts later came another win in grade A. DLT Annika has remained in top grade AA competition ever since winning her second effort in grade AA on February 9 and a perfect 2 for 2 in the month of March to earn the Greyhound of the Week honors.